Coins and tokens are all regarded as cryptocurrencies. For starters, cryptocurrencies are digital currencies encrypted using cryptography, which also secures and verifies transactions. These transactions are recorded and validated on public ledger. Cryptocurrencies are mainly hosted on the blockchain technology. The main difference between tokens and altcoins or coins is in their structure: altcoins being based on their own separate blockchain created from the word go while tokens being created and operated on top of an existing blockchain that facilitates creation of decentralized applications. Not all coins function as medium of exchange unlike Bitcoin which performs three functions: a unit of account, a store of value and a medium of exchange. As said already, coins have their own separate blockchain. 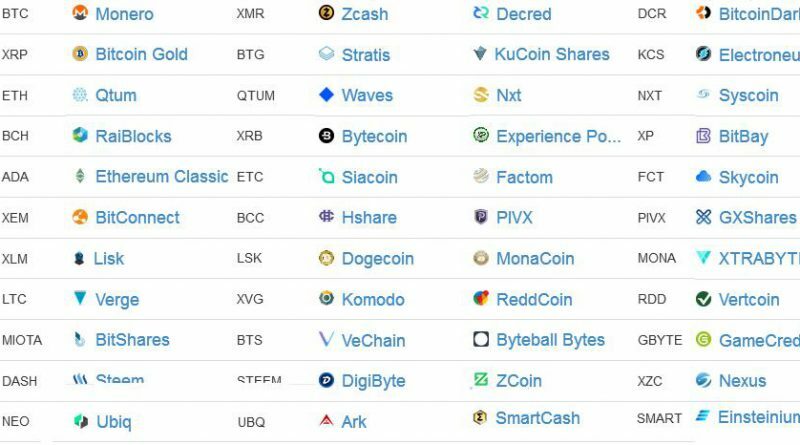 The list is long with over 1,000 coins: IOTA, Ethereum, Bitcoin, Ripple, NEM, NEO etc. Altcoins or coins are terms used for cryptocurrencies that are an alternative to Bitcoin. Even those hard forked out of Bitcoin tend to have different features. Examples of Bitcoin variants include Namecoin, Peercoin, Litecoin, Dogecoin and Auroracoin. These are based on the Bitcoin blockchain. Many other coins form off of their own blockchain. A dominant example is Ethereum. Tokens represent assets or utilities that are fungible and tradeable. They reside on top of another blockchain platform. They can represent any asset including commodities and loyalty points or even other tradeable cryptocurrencies. Creating tokens does not need you to modify code and create a blockchain from scratch. Remember you need to do this when creating altcoins or coins. The list of tokens is also very long and most are built on the Ethereum platform. Other platforms for creating tokens include Nxt, NEO, Waves, and Qtm, Counterparty, Omni and BitShares. Most of these platforms, like Ethereum though have their own platform currencies. Tokens are created by following a standard template on the host blockchain platform, for instance Ethereum or Waves platform. Creating of tokens is made using smart contracts capability supported on the platforms. Smart contracts are customizable code that can execute themselves without need for third-party physical intervention. As it stands, most of what we have and hear today are tokens on top of Ethereum. Tokens are issued to public via an Initial Coin Offering, which is more or less similar to Initial Public Offering or IPOs for stock issuance. ICOs are a great way of identifying interesting projects that would have real world application and run for longest. You could also differentiate utility tokens being those that allow you to do such things as create smart contracts on the blockchain, from currency tokens that allow you to exchange value. Some cryptocurrencies such as Ether operate as both utility and currency tokens. Currency tokens are the most popular and most in number today. They are also very popular among investors. Most of these allow earnings by way of the owners actions and cannot be classified as "equity" like the stock assets. To stay afloat, these tokens must generate demand and a lot of users would be needed to have value and liquidity. The number of users increase with value and high liquidity. Utility tokens are sometimes referred to as “Network Access Tokens” since they give users access to something the network allows the users to do, for instance a co-working space. But a token could also be an asset token if it is a representation ownership of a physical asset or product. This is one of the areas of crypto growth since asset tokens enable true distributed, P2P ecosystems on the blockchain. But they are not popular with investors. An asset token would be used to represent an asset expected to rise in value. A very good example is Goldmint, which operates gold-backed cryptoassets GOLD. Equity tokens is sought of prohibited grounds now because of SEC regulations. Like a traditional stock, it implies ownership and control. In other words, you are buying some part of organization so you get some equity and share in profits. Owners, of course, have control on organization behavior. DAO, as you might have heard was one of them and which SEC has issued directives about. SEC considers equity to include what earns you some money or reward from the actions of others while you act as a owner. More or less similar, you as the owner of a car registered with uber could hold the car to get a percentage of the money the driver makes working with uber. Reputation and reward tokens are given as a marker of reputation or rewards. For instance, a reward can accrue to a wallet that does something special. Most tokens tend towards this, when, for instance, developers and creators are rewarded for their efforts. The rewards may or may not be tradeable. A good example is Steemit on Steem network. What is an ICO or Token Sale?